Offspring : one cria (baby) every 14-15 months. Communication : alpacas express themselves with a soft "humm"
Alpacas require shelter of some kind, especially in the hotter months if they still have thick fleece's on. Trees can act as wonderful wind breaks as well as shade all year round. Although their fibre can act as wonderful insulation and protection from the cold, ensuring the alpacas have an area out of the harsh elements will help protect the alpaca from any potential risk of health issues. Alpacas are browsers rather than grazers. They thrive on high protein high fibre diets. Adequate and constant supply of well balanced grass is ideal, with a constant supply of roughage (meadow hay) will ensure they maintain their balanced diet. Stocking rates are 5-8 alpaca to the acre, depending on the quality of pasture. Their feed requirements are rated at 1 alpaca per 1.2 sheep (NZ Ministry of Agricultural figures). Fences need to be able to keep the alpaca safely in the paddock, but most of all protect the alpacas from any predators (stray dogs etc...). Sheep netting or deer fencing is most suitable... there is alpaca fencing now available. Shearing should be done once a year in the spring or early summer. This allows the alpaca to remain cool during the hot summer months and ensures they are able to grow sufficient fleece protection against the cold winter climate. Weaver and hand spinners love working with alpaca fibres. The price and product is influenced by the colour and overall quality of the fleece. 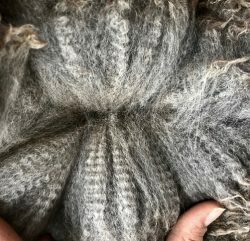 Larger farms are able to sell their fleece to large commercial fleece buyers. Alpacas are members of the Camelid family, along with camels, llamas, guanacos, and vicuñas. Alpacas fibre is currently available in 26 colour variations and is in high demand in the fashion industry worldwide. There are two types of alpaca; Huacaya and Suri's. The Huacaya is distinguished by their thick, dense fleece, which grows vertically from the body. 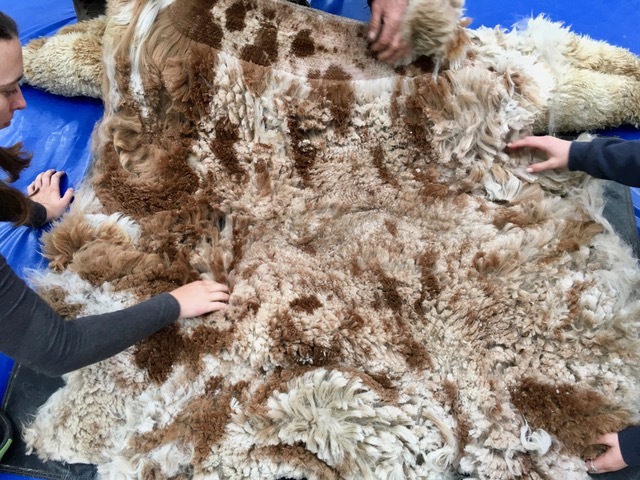 Giving their fleece a very soft, woolly appearance. The Suri has a distinctive fleece that grows parallel to the body in long, silky ringlet-like locks. 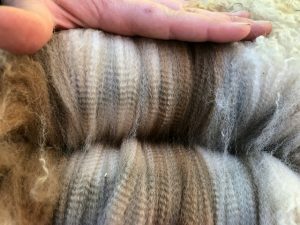 The lustre of Suri fleece is unique. Often when touched it creates a cold sensation. 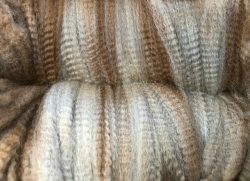 Alpaca fibre typically has a very soft, warm and low scratch factor fibre, making it a great source of thermal warmth for people and young babies who react to wool against their skin. Alpaca fibre has a higher tensile strength than sheep wool. One alpaca will typically produce 2 - 5 kg's of fibre each shearing year. The average weight of an alpaca can vary, however a mature adult can weigh from 70-120kgs and roughly stand 1metre tall from the withers. 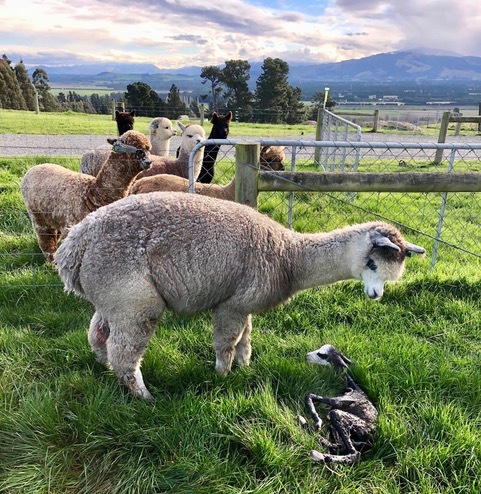 Cria weigh approximately 5-9 kgs at birth. The average gestation period for an alpaca is around 11.5 months (approx. 345 days). They typically have single births, with twins being very rare and usually a danger to the dam as well as unborn offspring. Alpacas can live to around 20 - 25 years old, depending on the environment and care they receive. During this time, a female alpaca could produce 15 or more offspring. As a general rule, alpacas are very placid and social animals. Each have their own distinct personality. They are gentle and non-aggressive, making them easy to halter train and wonderful pets on lifestyle properties. Alpacas are social herd animals that live in family groups, with everyone looking out for each other. Alpacas warn the herd about intruders by making sharp, high pitched shrieking sound. The herd may attack smaller predators with their front feet, and can spit and kick. Some alpacas have the capability of spitting. The "SPIT" is brought up from the acidic stomach and is generally a green grassy mix with a little bit of saliva. Alpacas mainly spit if they fell like they are in danger, alpacas mainly spit at each other but they will spit at humans if they fell threatened by them. After and alpaca has spat they get what is called a "Frozen Lip" which makes their bottom lip hang this happens because of the unpleasant taste and the high amount of acid that has passed through their mouth. Alpaca communicate through tail, body and ear postures as well as sounds. Alpacas prefer being touched on their body rather than being touched on their head. To help alpacas control their internal parasites they have a communal dung pile, where they do not graze. Generally, males have much tidier, and fewer dung piles than females who tend to stand in a line and all go at once. One female approaches the dung pile and the rest of the herd often follows. Because of their preference for using a dung pile, some alpacas have been successfully house-trained. Alpacas make a variety of sounds. When they are in danger, they make a high-pitched, shrieking whine. Some breeds are known to make a "wark" noise when excited. Strange dogs—and even cats—can trigger this reaction. To signal friendly or submissive behaviour, alpacas "cluck," or "click" a sound possibly generated by suction on the soft palate, or possibly in the nasal cavity. Individuals vary, but most alpacas generally make a humming sound. Hums are often comfort noises, letting the other alpacas know they are present and content. The humming can take on many different meanings. When males fight they scream a warbling bird-like cry, this is intended to terrify the opponent. Most of the regular health care alpacas require can be done by the owners if they have had pervious livestock experience. Alpacas require immunisation injections (vaccination) twice a year, with a '5 in 1' injection to provide the alpaca sufficient immunity from clostridial diseases (Pulpy Kidney, Tetanus, Black Disease, Malignant Oedema and Blackleg). Alpacas also require twice a year a top up of AD&E injection. Deworming is required usually twice a year, maybe more depending on the environment and how wet/hot the weather conditions have been. Ensure worming is rotated between different types of worming to ensure no drench resistance occurs. Toe Nail clipping is usually done every 4-6 months. TB Testing within NZ is required especially for entering shows... more information on how regularly will depends on your regions TB status. Males that are born and are not being used for stud purposes should be castrated. Here at NZ Summerhill and Black Magic, all males who are not up to our standard of being top elite stud worthy males are castrated and are sold on as pets. Alpacas can suffer from rye-grass staggers. The first sign of this is a perceptible tremor of the head and neck, followed by an unstable gait. The alpaca must be removed from the infected pasture immediately and feed good quality meadow hay to help the alpaca to absorb the toxins consumed from the infected pasture. Professional veterinary care will be required for medical treatments. Alpacas are ruminants with three stomachs. They are able to convert grass and hay into energy very efficiently, while consuming an incredibly small amount compared to their body weight unlike any other farm animal. Alpaca manure is lower in organic matter content compared to other barnyard livestock (cows, horses, goats and sheep), but still has enough to improve soil texture and water holding capacity. This lower organic content allows alpaca manure to be spread directly onto plants without burning them. It is the recomposition of organic matter content of the manure that indicated their efficient digestion system. The nitrogen and potassium content of alpaca manure is comparatively high, and indication of good fertiliser value. Gardeners find the alpaca's rich fertiliser perfect for growing fruits and vegetables. 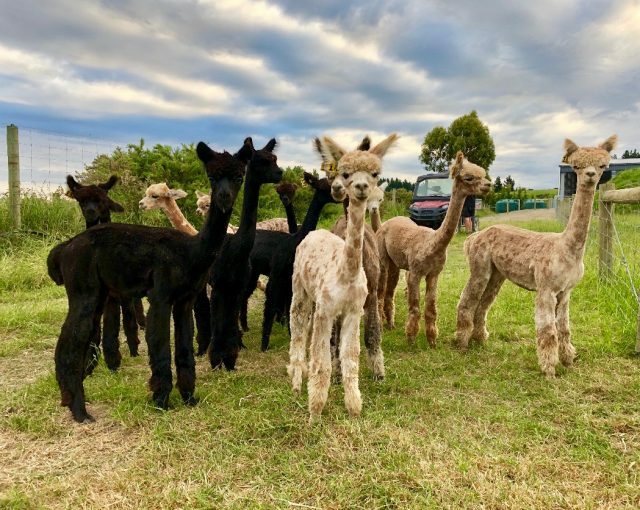 A herd of alpacas consolidates its waste in one or two spots in the pasture, thereby controlling the spread of parasites as well as making it easier to collect and compost the fertiliser.